Regardless of how impressive the DAP may look and operate, at the end of the day people will be buying it for its sound performance because you don’t need $3k paper weight with a golden wheel. When I received LPGT loaner, in the back of my mind I was thinking – new DAC with the same opamp chipset on SE output and a different opamp chipset on BAL. Thus, I was curious about what sound changes should I expect since Lotoo moved from TI PCM1762 to AKM AK4497EQ DAC. I think many LPG fans will be pleasantly surprised since the changes in sound are not that drastic. LPGT has a more neutral sound signature with a very accurate transparent tonality. The sound performance still stands out with a great transparency and layering, something LPG is well known for, except LPG has more sub-bass rumble while LPGT is more balanced and more neutral in that respect. When it comes to soundstage expansion, I find it to be naturally wide. But I wouldn’t exactly call it holographic, especially when compared to some other DAPs (covered in Comparison section of the review). Instead, LPGT soundstage has more focus with a slightly confined width and more out of your head depth. Surprisingly, when you switch to “Headphone” PMEQ preset, the sound becomes more 3D holographic, which makes me kind of doubt if PMEQ is only about “EQ” without any other DSP effects. But with all EFX off, the sound has above average width, identical to LPG. Up-sampling is another secret weapon of LPGT which I kept permanently on during my testing. Without it, sound performance is close to LPG, but once you enable it – the dynamics of the sound expands with a noticeable improvement, including better layering and separation of sounds as I hear it while testing with different hi-res IEMs. The change is not night’n’day, but it’s noticeable enough to appreciate the fine-tuning. 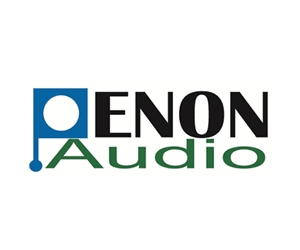 Another noticeable difference in performance between LPG and LPG is a pitch-black background with no hissing even in high gain, balanced, and with volume down to zero (my extreme test condition) using sensitive IEMs like Andromeda and Solaris. That was very impressive and a bit rare for a high-power DAP. As I mentioned already, both 3.5mm Single Ended and 4.4mm Balanced headphone outputs have an identical power out where the volume level was the same when switching between the ports with the same pair of IEMs. Also, between SE and BAL, the tonality and the sound sig are nearly identical, with the only difference of BAL having a little wider soundstage expansion. While I usually find balanced output background to be blacker, here it was on par with single ended output. In this review section, sound comparison was done using LPGT 4.4mm headphone balanced output, with all the effects off, and up-sampling turned on while using 64 Audio U18t with EA Leo II balanced terminated cable and Pentaconn 4.4mm adaptor. In every comparison I made sure to match the sound level between DAPs. Also, I only going to cover a sound difference as I hear it. Obviously, every flagship has their own set of features and functionality differences. LPGT vs LPG – I find soundstage width to be very close, just with Touch being a “touch” wider. Also, very similar sound signature and tonality, where the only difference I hear is a little more sub-bass in LPG. In terms of sound performance, I hear LPGT having a little better layering and improved dynamics when up-sampling is on. Also, LPGT has blacker background which makes the sound tighter due to a faster transient response of notes on/off transition. LPGT has no hissing with sensitive IEMs, while LPG does. LPGT vs Sony WM1Z (4.4mm BAL) – I find their soundstage expansion to be similar. WM1Z has a warmer tonality with a bass that has a little more impact, while in comparison Touch is more neutral and more transparent (less colored). Both have a dynamic layered sound, but I hear just a little bit more air between the layers in Touch due to its more neutral signature. To my ears, WM1Z has a more analog warmer tonality, while LPGT has a more precise reference sound. LPGT vs A&K SP1000 SS (2.5mm BAL) – I hear SPK to have a more holographic soundstage with a wider sound, while the depth is the same; in contrast – LPGT staging width is more focused. In terms of tonality, SPK with the latest fw has more bass impact and smoother treble response at the top in comparison to a more transparent (less colored) and more neutral sound signature of Touch. I also find Touch to have a blacker background. LPGT vs Cayin N8 (Solid State 4.4mm BAL) – I find N8 to have a more holographic soundstage with a wider sound, while Touch has a more focused staging. In terms of the tonality, N8 sounds a little bit warmer and smoother and has a little more low-end impact (especially in mid-bass) while they have a similar sub-bass rumble. In comparison, Touch has a more transparent balanced sound with a reference tonality, and a blacker background with an improved layering when up-sampling is enabled. LPGT vs iBasso DX200Ti (4.4mm BAL w/amp8) – I find DX soundstage to be a little wider, while both have the same soundstage depth. DX sound has more bass impact and a touch more treble sparkle, while Touch has a more neutral transparent signature. Both have a sound with great dynamics and a decent layering and separation. Also, both have a black background, but Touch noise floor is probably lower since I hear zero-hissing performance with sensitive iems in comparison to DX. 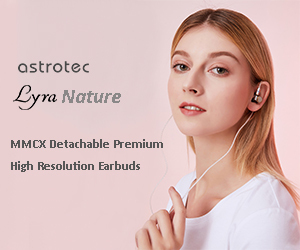 LPGT has plenty of power to driver some of the most demanding full size headphones and at the same time take care of high sensitivity IEMs without any noticeable hissing. Here is how I hear Touch pairs up with some of the headphones and earphones. Audeze EL8C (SE, full size closed back, planar magnetic) – I hear an elliptical shaped soundstage expansion, wide with a more intimate depth. Nice warm punchy bass, smooth natural mids, crisp treble. 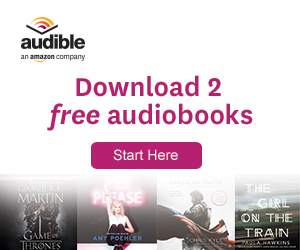 In this pair up I don’t hear any metallic sheen sound artifacts in treble. The only thing is vocals being slightly “nasal” in tonality. It’s not a bad pair up at all, especially since the treble is under control and not harsh. Oppo PM3 (BAL, full size closed back, planar magnetic) – I hear soundstage expansion with more depth than width, more out of your head staging. Tonality is warm, musical, thicker in body. Bass hits deep, has a little longer decay. Lower mids have a thicker body while upper mids being very smooth and natural, even taking some resolution away from vocals. Treble is well controlled, natural as well. This is a perfect example of transparent nature of LPGT tuning where it will not enhance or color the sound, and you hear a brutal honesty of the original tuning. Beyerdynamic T5p2 (BAL, full size closed back, dynamic) – I hear a wide soundstage with more out-of-your head expansion. Bass has a deep sub-bass rumble with a stronger mid-bass punch. Natural smooth resolving fuller body mids. Crisp well controlled treble. The sound has a very organic tonality with a natural resolution. Audio-Technica ATH-R70x (SE, full size open back, dynamic) – I hear a very spacious open soundstage, in both width and depth. Tonality is very natural with a nicely balanced signature. Bass goes deep and punches nicely through the mix, mids are very natural and highly resolving at the same time, very soulful rendition of vocals. Treble has a natural crunch to give sound great definition without any exaggerated sparkle. This is a perfect example of R70x sound, without any coloration and exaggeration. iBasso SR1 (BAL, full size open back, dynamic) – I heard an elliptical shaped soundstage with sound spreading wide without getting too far out of your head. Very natural tonality which in a way reminds me of R70x, but the bass here is more neutrally balanced and the mids and treble are more resolving with better retrieval of details and a little more sparkle and airiness. Campfire Audio Solaris (BAL, DD/3BA hybrid IEM) – I hear a holographic soundstage expansion, tight punchy bass with a deep extension, natural resolving mids with a perfect mix of organic revealing tonality, and crisp airy treble with great definition and excellent control. I hear the sound to be very natural in this pair up. Campfire Audio Andromeda (BAL, 5BA IEM) – I heard soundstage with more out of your head expansion. Punchy warm bass, not as tight, with slower decay. Brighter resolving mids with a bit of a leaner body. Crisp well controlled treble with moderate airiness. As previously mentioned, no hiss with Andro and Solaris was a very pleasant experience. 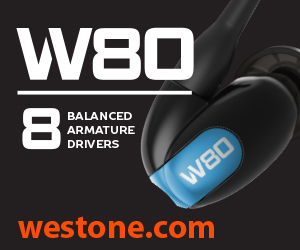 Westone W80 (BAL, 8BA IEM) – I hear a holographic soundstage expansion. Smooth natural laid back tonality, deeper low end expansion with some extra sub-bass rumble and punchy mid-bass, overall bass is more relaxed, not as tight. Mids are full bodied, warmer, organic; with natural retrieval of details, nothing too revealing. Treble has some sparkle but it’s more controlled and smooth. 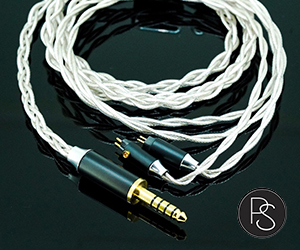 VE Zen ZOE (BAL, 320 ohm earbuds) – I hear a wide soundstage with a more intimate depth (sounds feel closer to you). Overall sound tonality is warm, smooth, very organic, less resolving, yet very natural and musical. Empire Ears Legend X (BAL, 2DD/5BA hybrid IEM) – I hear a very wide soundstage expansion with a nice depth, not too close or too far out of your head. Bass slams hard with a visceral rumble and a tight well controlled mid-bass punch. Mids are naturally resolving, with slightly north of neutral lower mids and detailed organic upper mids, treble is crisp and well controlled. While I usually prefer to knock down about 3dB around 60Hz when listening to LX, here I actually enjoyed extra bass since it was not as overwhelming. 64 Audio U18t (BAL, 18BA IEM) – I hear a holographic soundstage expansion. A textured sub-bass rumble with a little extra quantity, tight mid-bass punch with a good control and separation from mids. Neutral natural lower mids, natural revealing upper mids with an excellent retrieval of details (not on micro detail level, but very good nevertheless), and crisp sparkly airy non-fatigue treble. Upper frequencies are a little more revealing, but still in a natural controlled way. While in some pair ups U18t could sound more mid-forward, here the signature was more balanced. 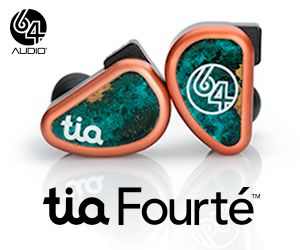 64 Audio Fourte (BAL, DD/3BA hybrid IEM) – I hear a holographic soundstage expansion. Deep visceral bass, excellent sub-bass extension with a velvety rumble, warm analog mid-bass punch with a little longer decay, though well controlled to separate from mids. Lower mids are south of neutral, leaner in body, upper mids are revealing and on micro detailed level, while treble is very crisp and sparkly. Overall, the signature is more v-shaped, to please treble-heads who love the impact of a deep bass. HiFiMAN RE2000 Silver (BAL, DD IEM) – I hear a holographic soundstage expansion. Here, the sound has a unique tonality and tuning where a single DD driver has a resemblance of multi-BA performance. 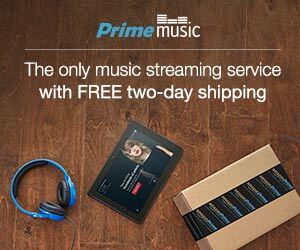 Bass is tight, fast, good sub-bass extension, punchy well controlled mid-bass. Mids are lean, bright, on a thinner side, very revealing and micro-detailed. Treble is crisp, airy, yet manages to be non-fatigue. Overall, sound is more v-shaped. It’s hard to ignore LPG when testing LPGT. After spending a few weeks with LPGT loaner, I found the sound sig to be similar to LPG. Except, you no longer hear LPG’s sub-bass boost, and instead, LPGT is more neutral and more transparent. In terms of sound performance, LPGT up-sampling improves the layering and sound dynamics. The other noticeable change is a dead quiet black background even with sensitive IEMs. But overall, I think Lotoo decided to stick to the same sound sig formula even though LPG uses TI PCM1762 while LPGT uses AKM AK4497EQ DACs. Coincidentally, LPGT 3.5mm output uses the same LME49600 opamps as LPG, and even its 4.4mm output with OA1622 opamps was tuned to sound nearly the same as 3.5mm output. So why would you consider Lotoo’s latest flagship DAP or would want to upgrade from LPG? Because of all the new features where Touch adds USB DAC, Bluetooth with a duplex LDAC to turn this DAP into a wireless BT DAC (streaming from your phone), USB-C charging (no longer need proprietary charger), touch screen with a very responsive interface and a fast OS bootup (2-3 sec), updated Parametric EQ II, included EFX presets which you can apply in USB DAC and Bluetooth modes, and even WiFi for OTA firmware updates. You also get on-the-fly up-sampling and support of DSD512. And not to forget Line Out from both 3.5mm and balanced 4.4mm outputs if you want to drive external fully balanced amplifier. Bottom line, there are a lot of similarities in sound between LPG and LPGT, but I think it was done intentionally because Lotoo was never planning to introduce a significant update to its sound signature. LPG was released 4 years ago, and even the last year (2017) refresh was mostly cosmetic with a few internal optimizations. In my opinion, the idea behind LPGT was to enhance LPG with missing features, to bring it up to current flagship standards. LPGT is like LPG on steroids, or you can call it an Extreme Makeover of LPG!